Adam Wingard"s Death Note (2017) finally has a teaser trailer released, and it looks extremely promising. I knew the Netflix original film adaptation of the popular anime and manga written by Tsugumi Ohba and illustrated by Takeshi Obata was in great hands with Wingard at the helm. Adam Wingard"s live-action Death Note movie will release on Netflix this upcoming August 25, 2017. In this teaser trailer, Nat Wolff stars as Light Turner with superstar Willem Dafoe as the voice of Shinigami Ryuk who is unseen in the shadows. Willem Dafoe, Lakeith Stanfield, Shea Whigham, and Margaret Qualley star in Death Note. We suggest you obey the rules. 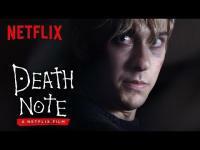 Based on the famous Japanese manga written by Tsugumi Ohba and Takeshi Obata, Death Note follows a high school student who comes across a supernatural notebook, realizing it holds within it a great power; if the owner inscribes someone"s name into it while picturing their face, he or she will die. 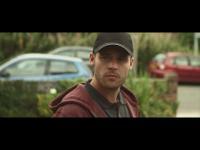 Intoxicated with his new godlike abilities, the young man begins to kill those he deems unworthy of life. The Netflix original film is directed by Adam Wingard (Blair Witch, You"re Next) and stars Nat Wolff (Paper Towns), Margaret Qualley (The Leftovers), Lakeith Stanfield (Get Out), Paul Nakauchi (Pirates of the Caribbean: At World"s End), Shea Whigham (American Hustle) and Willem Dafoe (Spider-Man). Death Note will premiere exclusively on Netflix on August 25th. The Netflix original film is directed by Adam Wingard (Blair Witch, You’re Next) and stars Nat Wolff (Paper Towns), Margaret Qualley (The Leftovers), Lakeith Stanfield (Get Out), Paul Nakauchi (Pirates of the Caribbean: At World’s End), Shea Whigham (American Hustle) and Willem Dafoe (Spider-Man). 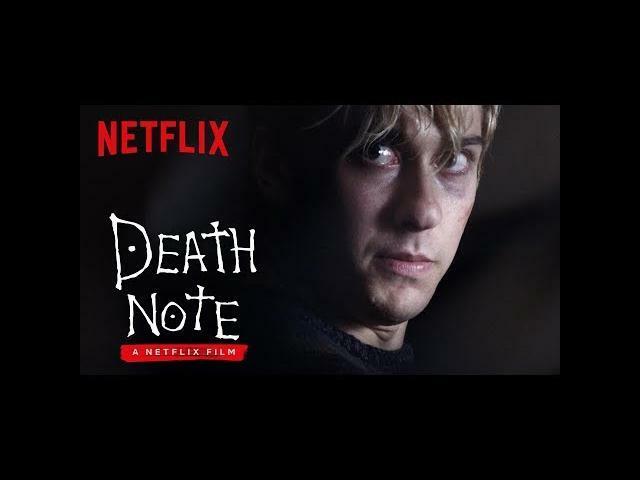 Death Note, now streaming on Netflix.